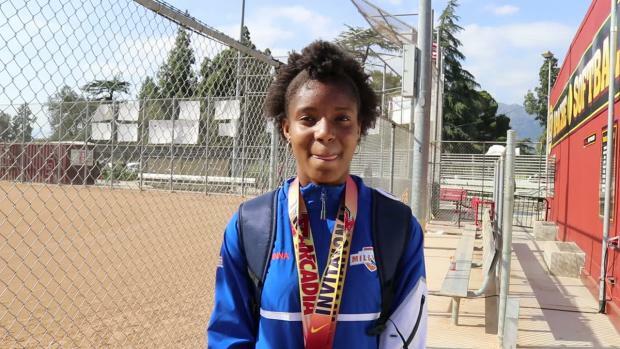 Millville, which received a sensational performance from freshman star Bryanna Craig, put together a great all round meet, scoring in six of the nine events, and striking gold in the sprint medley in 4:17.37 (out of the first heat) and the 4x400 in 4:05.49 on its way to 48-28 victory over runner-up Ridge. 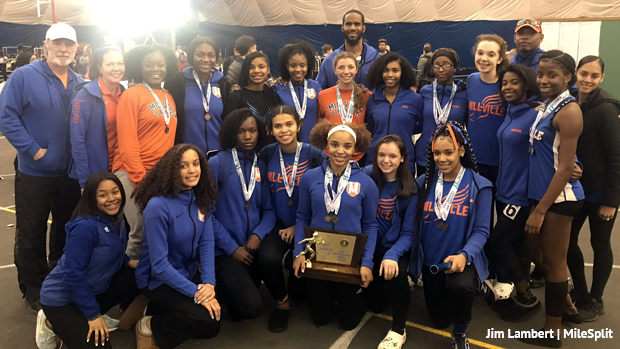 In addition to its wins in the 4x400 and SMR, Millville also took second in the shuttles in a NJ#2 31.93, second in the high jump, third in the shot put, and third in the 4x200m. Craig ran on the SMR, 4x400, shuttles, and was on the high jump team. 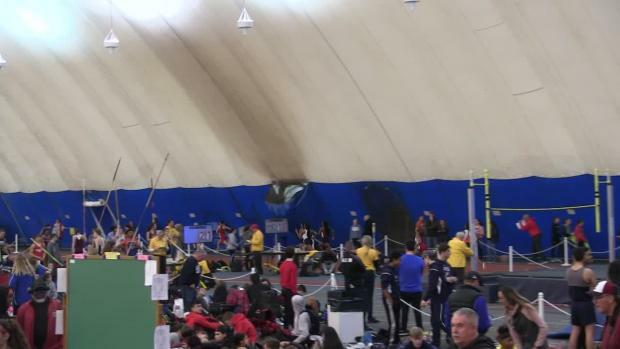 One of the biggest highlights of the meet came in the shuttles when Eastern lowered its state lead down to 31.58, which broke the Group 4 meet record of 31.6 set way back in 1986 by Plainfield. 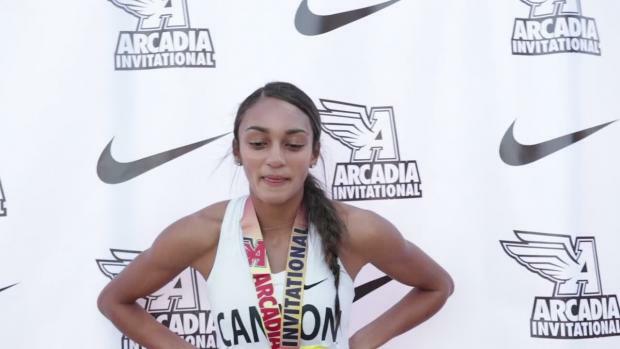 In other girls highlights, freshman Caroline Mehlhorn split 5:02 and change and came from way back on the anchor leg to give Montgomery the victory in the DMR in a NJ#3 12:27.51. was Ridge second in a NJ#4 12:29.71. Piscataway's Shauntae Nelson split 25.2 on the anchor to give the Chiefs the win right at the line in a great three-way battle. 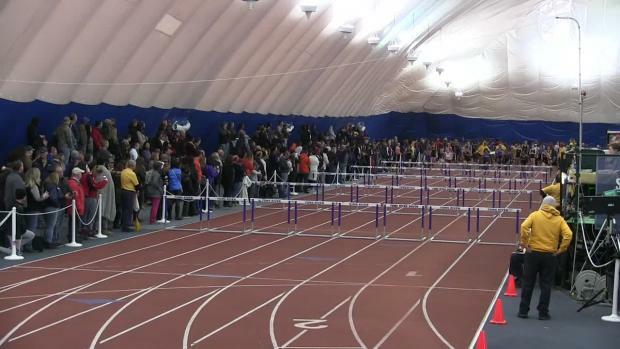 Piscataway won in a NJ#9 1:45.84. Rancocas was 2nd in 1:45.87, and Millville third in 1:45.91. 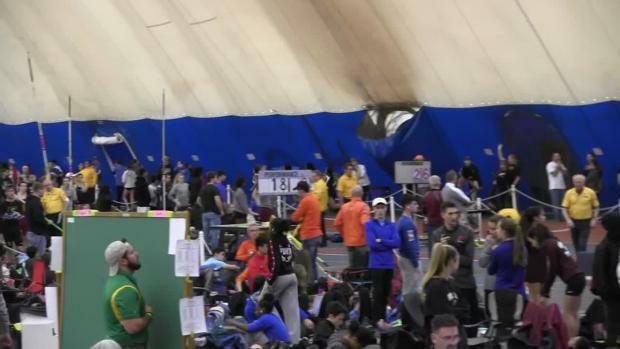 Ridge won the 4x800m a NJ#2 9:36.31. Morgan Lyons ripped a 2:18.5 split for Ridge. In the boys competition, it all came down to the meet-concluding 4x400 as South Brunswick held a 28-22 over East Orange with Elizabeth third with 20. Christian Davis went 49.8 on the anchor. Piscataway's victory gave South Brunswick the title outright with 32 points. EO, second in the 4x400, finished second with 30. If EO won the 4x400, it would have captured a share of the team title. 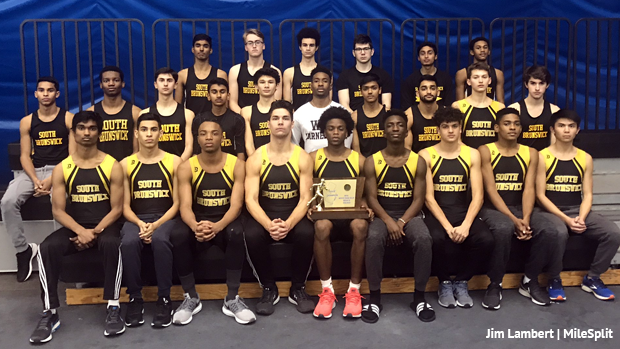 South Brunswick, which has now won three state Group 4 titles (it also won in 2013 and 2014, picked up victories in the shuttle hurdles with a Middlesex County record tying 30.94, and the sprint medley, and was second in the high jump. In other boys highlights, Elizabeth's anchor caught East Orange to give the Minutemen the win in the 4x200m in Group 4 record 1:31.33. Elizabeth broke its own record of 1:31.49 that they ran last year. Memorial won a great battle in the DMR as Francis Martingale anchored in 4:21.7 and stopped the clock at a NJ#5 10:36.79. Cherokee was second in 10:37.06, and Kingsway third in 10:38.53. 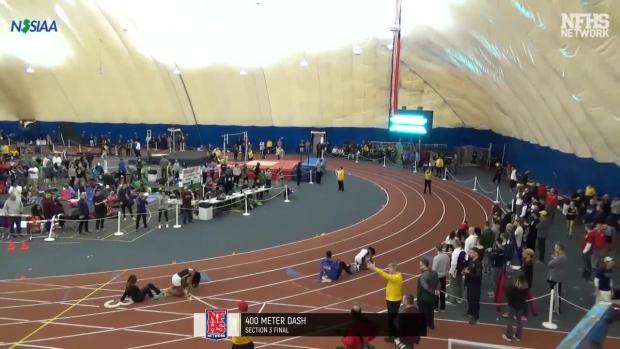 North Hunterdon won the 4x800m in a NJ#6 8:07.98. State shot put leader Kyle Lipscomb of Linden had the top throw with a 54-10. His best this season is 58-6.